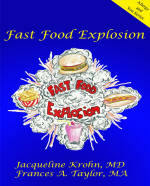 Fast food offerings, additives and allergens in fast food, concerns about eating fast food, health consequences from eating fast food, and healthier choices at health food restaurants are presented in this book. 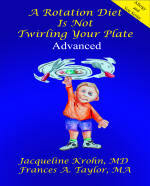 Food allergy is controversial and can complicate life with unpleasant symptoms interfering with daily life, including school and employment.This book discusses common allergenic foods, symptoms they may cause, and where these foods can be encountered. Classifying foods into families has allowed the development of an important diet (rotary diversified diet or rotation diet) that is an effective tool for handling/controlling food allergies. This diet, its benefits, and how to use it are discussed in detail. 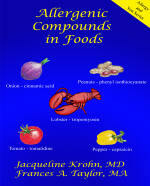 People can be allergic both to whole foods as well as compounds they contain. Foods frequently contain more than one of these compounds. Many times the food allergic person must be treated both for whole foods and these chemicals to give them complete relief. Food allergies should be treated to prevent development of degenerative diseases and for symptom relief and control. A rotation diet (a healthy and balanced way to eat) can help identify problem foods, prevent new sensitivities from developing, maintain tolerance for nonproblem foods, and allow repair of any systems food allergy affects. From time to time people enjoy changes in meals, and a different rotation diet with a new distribution of food families allows this. A rotation diet can be devised for almost any specialized diet or eating plan, including a vegetarian diet.The numerous recipes included are a few of the many that can be used to cope with food allergy. Does My Baby/Toddler Have Allergies? 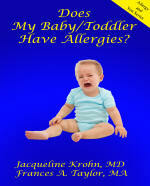 This book deals with allergies and health problems babies and toddlers may have, symptoms and health effects that allergies can cause, and methods of dealing with and preventing allergies. 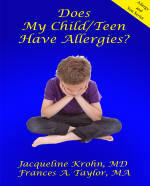 Does My Child/Teen Have Allergies? Parents must become knowledgeable about allergies and the health problems of their children, and it is very important that children learn to cope with and handle their allergies. Grain consumption in human diets is controversial, and more people are reporting difficulty eating all grains, particularly those that contain gluten. 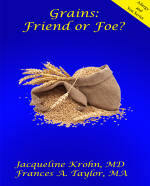 A comprehensive discussion of all grains, pseudograins (amaranth, buckwheat, kañiwa, and quinoa), grain allergy and symptoms, and celiac disease is included in this book. Seasonings can be problematic for people who are allergic to them and cause adverse symptoms whenever and wherever they encounter them. 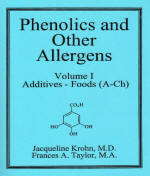 This book deals with culinary (cooking), medicinal, and other uses of seasonings, as well as possible allergic responses to them. Does your dog drive you crazy itching, licking, and chewing all over constantly, even when you are trying to sleep? Is your cat wheezing or does it have rashes, bald spots, vomiting or diarrhea?All of these are symptoms of allergy. Animals and pets are just as miserable with allergies as are people with allergies. 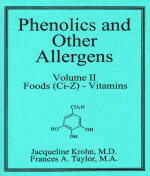 Allergies in cats, dogs, birds, and horses are the emphasis of this book. Do I Have a Cold or Hayfever? Pollen is flying and the allergic person debates, “Do I have a cold, or is it hay fever?” Allergic rhinitis is the medical term for hay fever, which is a misnomer. 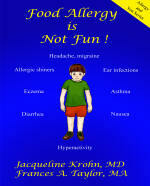 This book discusses health implications of being allergic to pollens. 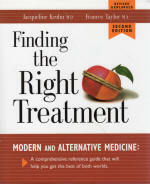 It also presents treatment possibilities, both for self-help and for that available from physicians. We have probably been going through a chemical revolution for centuries. Modern chemistry has given us many new products. Over 500 billion chemical are manufactured in North America each year. 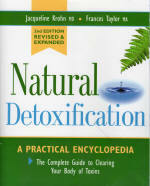 The information in this book is to make you aware of chemical sensitivities and what your exposures might be. Information is also presented on methods to avoid, combat, and control chemical sensitivities. "This book makes a really good family medical book"
The phenolic books come with CDs, available only with purchase of book. Volumes I and II are on one pdf CD. 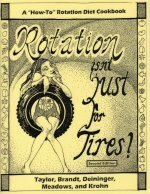 Volumes III and IV have separate CDs, and these pdf files are searchable. 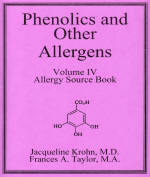 Although the Phenolics and Other Allergens series was basically written for healthcare professionals and practitioners, these books are also meaningful for patients. While these books have many applications in the medical and healthcare fields, they provide an excellent resource for teachers. Information presented is thorough, comprehensive, and would enable teachers in many different fields to have an immediately usable summary of many different topics. The content of these books is of reference quality. Teachers of Biology, Microbiology, Anatomy and Physiology, Chemistry, Nutrition, Botany, Agriculture, Environmental Science, Ecology, and Food and Consumer Science will find them to be detailed and thorough reference books containing information that will enrich their teaching knowledge and presentations. 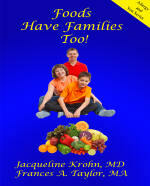 present the many substances that can cause untoward symptoms in humans. Symptoms caused by the substances and the action of the substance in the body is presented as well as treatment possibilities. is a supplemental volume for Volumes I and II, presenting over 500 additional substances that can cause untoward symptoms in humans. The format is the same as that in Volumes I and II. 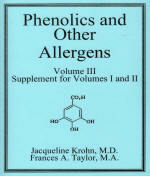 is a source book, presenting many substances and their health effects and allergy symptoms that they can cause in humans. It presents "imponderables" that include heat, cold, altitude, humidity, draft, motion, vibrations, noise, color, wind, weather, electromagnetic phenomenon, and others. Detailed information is given about each subject as well as effects on humans and treatment possibilities. 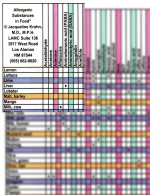 Double-sided 11"x17" laminated dot charts provide the practitioner and patient a rapid way of determining phenolics, other compounds, and nutrients in 149 foods. Treatment for these compounds in addition to treatment for whole foods is frequently necessary for control of food allergies. Double-sided 9"x12" laminated dot charts provide the practitioner and patient a rapid way of determining phenolics, other compounds, and nutrients in pollens. When pollens have been treated and the patient still has problems, treating the compounds on this chart may provide relief. Here are the most recent postings from Dr. Krohn's blog: click HERE to see the entire blog.